Speciality stores are all about quality. You might not sell wholesale amounts of product every day, but everything that leaves your shop has been given your own stamp of approval. At AccuPOS, we understand this, which is why we’ve developed the world’s highest quality EPOS system, designed to improve both your experience, as well as your customers’. EPOS certainly is our speciality. Our AccuPOS Speciality Food EPOS is designed with your existing business in mind, meaning you won’t need wholesale changes when you make the switch. 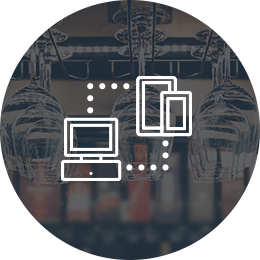 With the ability to easily cope with high levels of traffic, as well as the option to install as many screens as you need, our EPOS really is the most flexible around. It even works seamlessly on both PC and Android, allowing you to interchange between the two. 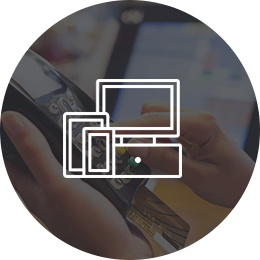 The basic point we’re trying to make is this: regardless of what you need from your EPOS, we’ll be able to give it to you. Running a speciality food business takes lots of time, and lots of effort. Not only are there customers to serve, but there’s also the hidden work, such as admin, stocktaking and staff rotas. At the moment, you probably spend most of your time in the office, churning through paperwork, but not when you have AccuPOS EPOS software. 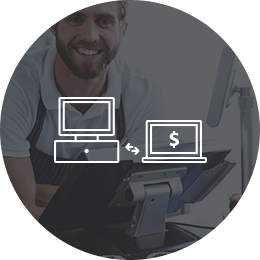 With AccuPOS, you can run your business from anywhere, meaning that you can log-in from home, the shop floor, or anywhere else with an internet connection. The result? A more productive, efficient business, and less risk of you becoming a recluse. There are a lot of things to shout about when it comes to AccuPOS EPOS, but we shout loudest about our industry-leading accounting integration. With it, you’ll banish those long hours entering accounting information by hand, and instead see everything done automatically – freeing you up for more important jobs. Sales data, taxes, and everything else you can think of is automatically transferred from EPOS to accounting, leaving you with the perfect picture of your overall business. Of course we’re going to shout about our EPOS though, but Sage and QuickBooks also agree that AccuPOS offers the best accounting integration around. That’s high praise indeed.